NEW YORK, UNITED STATES, August 20, 2018 /EINPresswire.com/ — Leading luxury villa rental company Exceptional Villas is predicting that 2019 will be an excellent year for tourism to Jamaica. All the key industry indicators and year on year advance booking metrics are showing that Jamaica is showing a substantial increase in advance bookings. Alexandra Baradi, Owner, and CEO of Exceptional Villas said that “guests on the beautiful tropical island have never felt safer”. Since the beginning of the year, the crime rate has decreased dramatically. Local Jamaicans and the expat community are very happy with the present state of affairs. Montego Bay and its environs are quiet and more peaceful than in the last 15 years. There are reports of people walking to work as they have never done. Tourists are carrying on as usual. Hospitality Leaders are reporting that guests on the island are not afraid and excursions are up compared to previous years. New biking and walking tours have become popular as a result of the peaceful conditions. Clients who were concerned and asked for security prior to arrival, have canceled the security within 12 hours of being on the island. Our guests are reporting no issues, and they all feel safe & comfortable. The massive reduction in crime since January 2018 is 70% across the board. The State of Emergency put in place last January was only aimed at the city areas that had the highest crime rate. All tourist areas, residential and villa areas are free of crime. The rate of crime against a tourist is recorded at 0.006% annually. 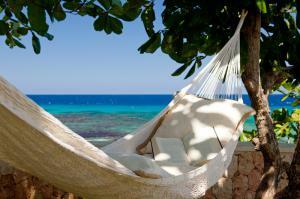 Above all Jamaica offers some of the best value in the Caribbean Region when it comes to villas and vacation rentals. 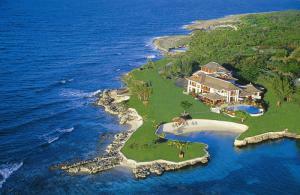 Most luxury villas in Jamaica include chefs, butlers, and housekeepers. The island has more repeat business than any other island in the region and this is primarily due to the friendliness of the local people and their ability to make guests to the island feel very special. Exceptional Villas is part of Dream World Travel Ltd; A European based vacation Rental Company with clients and destinations all over the world. They have been in the travel business for over 25 years and offer a unique bespoke service to their clients. 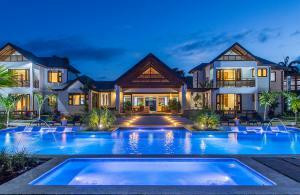 This includes matching the perfect villa for each client and also providing a full and complimentary concierge service. This service includes all aspects of the client’s vacations such as VIP airport arrival, ground transportation, restaurant reservations, tours and excursions, water sports and pre-arrival stocking. Unlike some of their competitors, they do not provide a membership fee. Likewise, their villa experts are indeed experts. They visit every single villa and are filled with a wealth of information regarding each villa, as well as each destination. 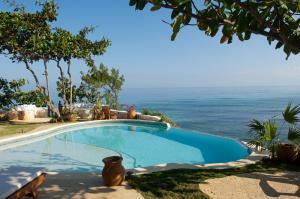 Exceptional Villas take total pride in the customized service they offer. 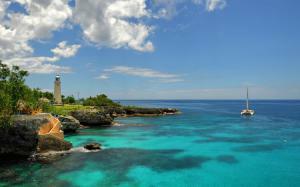 Some of their other popular destinations include Barbados, Turks and Caicos and Antigua.